Seafood lovers rejoice! 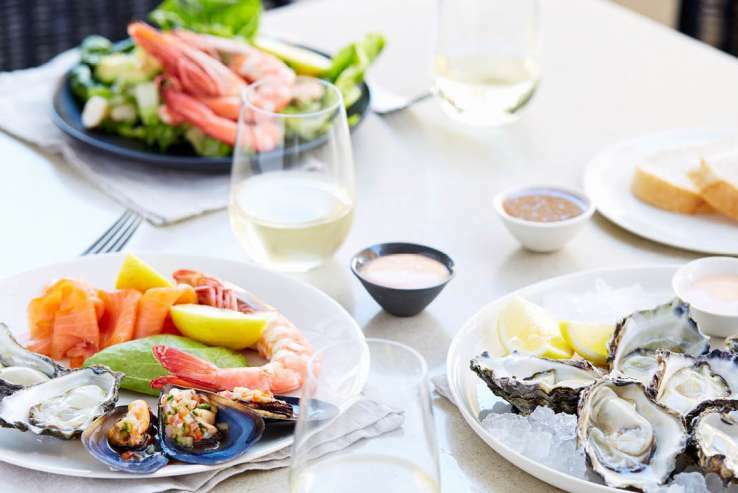 January is the month of ‘Seafood, Beer and Bubbles’ at King Street Wharf. 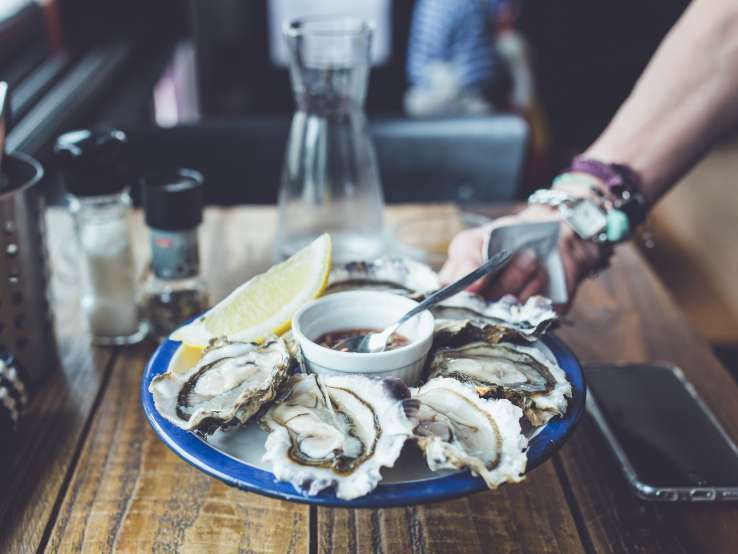 Restaurants and bars in the precinct will be pulling out all the stops serving heaps of fresh seafood, great wines and fresh beers. From fresh Sydney oysters at Beer DeLuxe, surf clams at All Hands Brewing House, Singapore fish at The Malaya and school prawns at Bungalow 8. Make sure you get down soon, they’ll be gone before you can say ‘shrimp on the barbie’. All Hands Brewing House have sourced Sydney’s freshest surf clams and will be serving these delectable morsels with a pint or a glass of prosecco for $30. With a state of the art microbrewery, Southern style comfort menu and fantastic beer garden, All Hands seems custom-designed to enjoy a beer, bubbles and seafood! 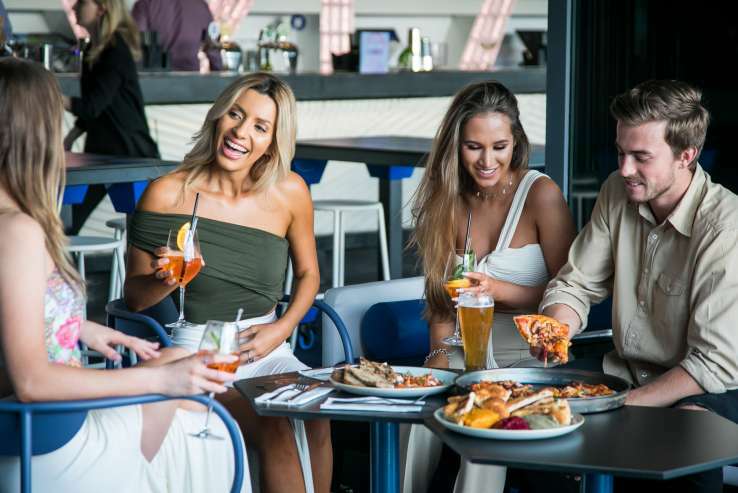 Grab your amigos, bag a spot overlooking the water and order a Bella Vista cocktail jug with school prawns for $28 for the month of January. 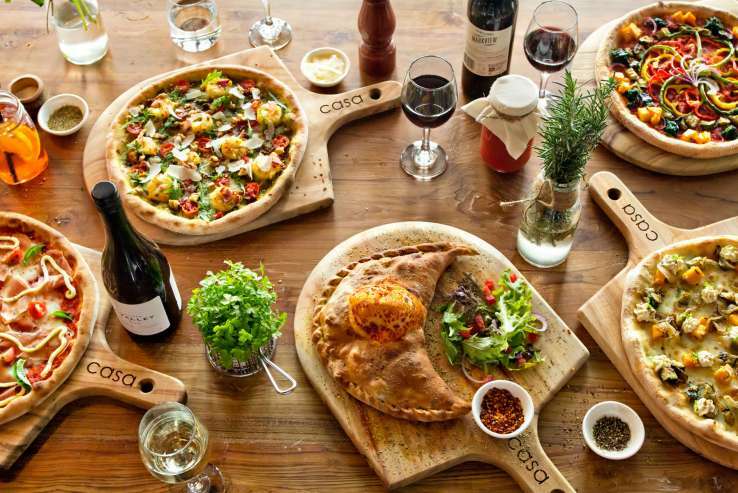 Refuel for a night of dancing with Cargo’s special summer offer. Order the Marinara Pizza and receive a bonus glass of sparkling. It wouldn’t be summer without a cold beer! Get ready for the ultimate summer beverage: the Largarita. Grab a tasting paddle and match it with a plate of oysters – $12 per half dozen. The Malaya is the place to go for a special occasion. Enjoy the masak lemak king prawns, which are ‘THE BEST in the world!’ according to TripAdvisor and we can’t help but agree! Have all your seafood needs covered with a delectable range of fresh lobsters, oysters and prawns. For the month of January, enjoy a fabulous seafood set menu for group bookings of 12 and over and receive a complimentary dessert.